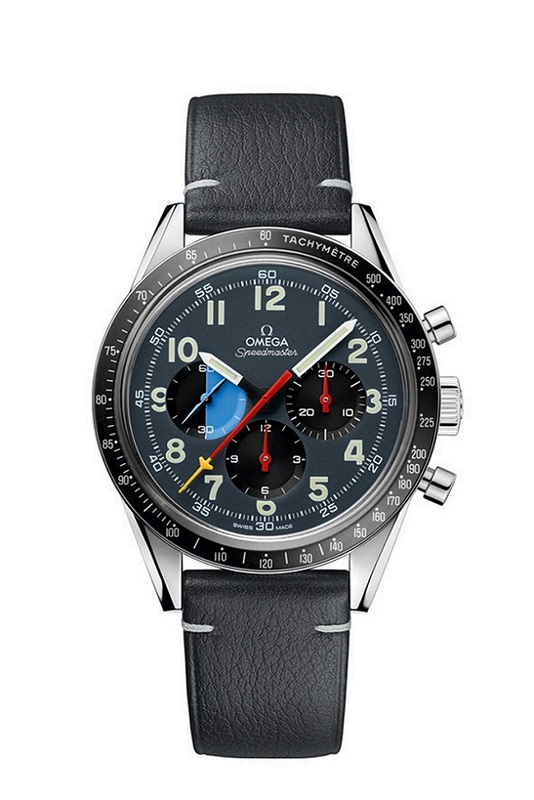 OMEGA Speedmaster “Day-Date” was created more than 20 years ago, it featured an intriguing dial design and colour coding that has made a lasting impression on watch fans ever since. 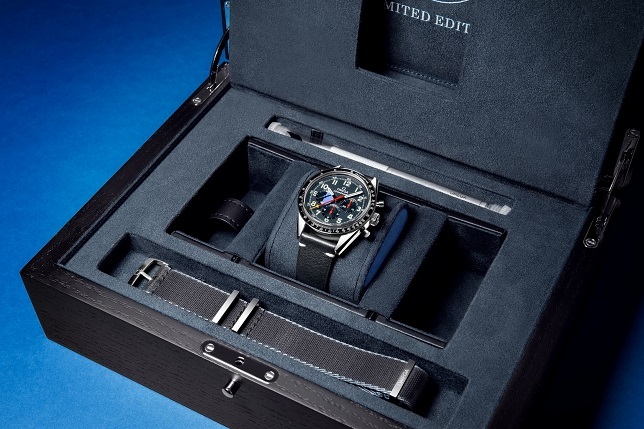 In tribute to that unique Speedmaster, OMEGA is now releasing a special Limited Edition model that reimagines the same classic look. The new 39.70 mm chronograph is being launched in partnership with the leading watch magazine and tastemaker HODINKEE, which is celebrating its 10th anniversary this year. HODINKEE founder, Ben Clymer, has a particularly strong connection to the original Speedmaster “Day-Date”, as it was a meaningful gift from his grandfather and the very model that ignited his passion for watches. Speedmaster fans will notice that this is not an exact re-creation. While the triple calendar complication is no longer featured, there are many other familiar touches that recall the original design. Firstly, the grey/blue dial includes a distinctive minute track as well as luminous Arabic numerals. The black and blue subdial at 9 o’clock is perhaps the most essential part of the “Day-Date” tribute. Originally featured as a day/night indicator, it has now been transformed into a useful function indicator with a propeller-shaped hand. As well as including black and white hour/minute hands, the central seconds hand is varnished red and includes a yellow airplane tip (a recognisable feature from the “Day-Date” model that has been seen on several Speedmaster designs since the 1970s). The watch is presented on a grey/blue leather strap, with a stainless steel case that includes a black aluminium bezel and the Speedmaster’s famous tachymeter scale. On the caseback, OMEGA has embossed its Seahorse medallion and added a number of engravings, including “HODINKEE” and “10th Anniversary.” Inside, the watch is driven by the legendary OMEGA Calibre 1861. The new Speedmaster is limited to just 500 pieces and all models will be sold exclusively through the HODINKEE website and in OMEGA Boutiques within the USA. Customers who secure their model will receive the watch in a special presentation box with an additional grey NATO strap and changing tool.